There is something interesting regarding republicans and poker. After all, many former US Presidents coming from the Republican party were fans of the gambling game. Abraham Lincoln, Theodore Roosevelt, Warren G. Harding, Dwight D. Eisenhower, and Richard Nixon. All of them enjoyed playing poker. But it is Nixon who is widely regarded the best “politician poker player”. He learned how to play five-card stud poker during his days at the Navy. His mentor was fellow naval officer James Stewart, whom he asked about how to play after watching the game for a few weeks. There are multiple interesting and unique stories about Nixon and his poker playing. For example, when he was just 30 years old serving in the South Pacific in 1944, he had a chance to meet a national hero at the time, Charles Lindbergh. He turned down the opportunity because he was hosting a poker game that nigh. Years later, Lindbergh was a guest at the White House during Nixon’s presidency. Did poker help him become President? Another interesting story is that Nixon used poker to fund his political campaign. He funded his first congressional electoral campaign in 1946, just two years after the 1944 Lindbergh dis with poker money. He had $6,000, money he won while playing poker with Navy colleagues. Some say that when he famously declared “I am not a crook”, he was referring to the money he won from poker. 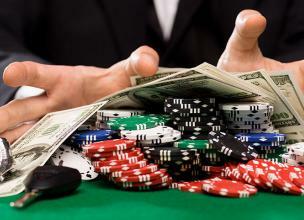 At the time, Nixon played at what is considered high-stakes poker. He played a five-card stud game known as “five-ten”. The game allowed two $5 raises with a $10 cap on the third bet. Pots ranged between $10 and $50. If he was losing during those game, he would not have enough funding to even run for office the first time. Nixon’s political career lasted until 1974, when the Watergate scandal broke. That led to his eventual resignation. 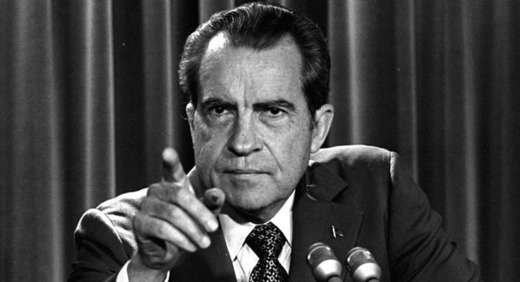 Nixon will always be remembered for the Watergate scandal, but his poker skills are also worth mentioning. Many stories tell how good of a player Nixon was. He believed the game could be conquered, and there were ways to be better than the game itself. He mastered the game from James Stewart, and it was all thanks to a simple formula. That formula and advice holds up in today’s game, and it is: play a brand of poker, limit bluffs, bet with abandon when you think you have the best hand, or when you know for sure your opponent does not. As mentioned, he was playing high stakes poker, with pots getting up to $50 for a single hand. He was better poker than anyone in the world of politics. His style was to apply gas when others hit the brakes. He had a great ability to smell weakness. He was not afraid to bluff to win the pot. Truth be told, the former president was ahead of his time in the art of picking up bluffs. He discovered that talkative players were less likely to have the goods than the opponents with zipped lips that didn’t want attention. But Nixon was not only about winning big money. What made him successful was his ability and willingness to play for small cash as well. He favored a small-ball brand of poker. He didn’t want to be the big winner of the game. Instead, he wanted to turn an incremental profit whether it was $20 or $30 per night. Add that to your bank account on a nightly basis, and you’ll see how it adds up. 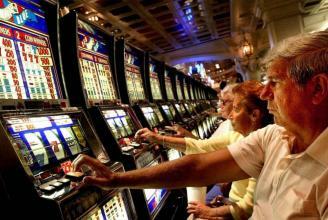 He was consistent in winning, to the point he was worried that his wife Pat would discover his habit.